There is a 5-year gap between myself and my younger brother Mark and I still remember his birth pretty clearly. Firstly there was the announcement that my beloved playroom would now be no more as it was needed for his bedroom (at least I got to keep the biggest bedroom) which was shortly followed by his actual birth and I had to choose whether I wanted to go to an after-school film club or visit him for the first time in hospital (tough choice). I remember being gifted with an etch-a-sketch as I visited the hospital and was honestly more excited about that than a new baby. Oops! Oh my days, how 80s is this photo! Growing up with a 5-year age-gap probably meant that we weren't as close as we could have been and I don't know many 13-year-old girls that would choose to hang out with their 8-year-old brother. We did still get on though and enjoyed lots of family days out and share lots of happy memories. 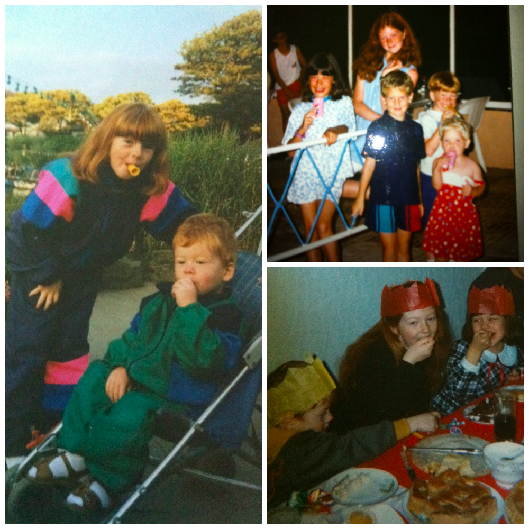 Along with my cousin Vicky, I took great delight in tormenting Mark and whether this be dressing him up in our old bridesmaid dresses, putting the food we didn't want to eat for tea on his plate and pretending we'd finished or locking him out of my bedroom - we made it our life's mission to make sure he was miserable. Poor guy! I prefer to think of it as character building though. Fast forward to our teenage years and we were a big support to each other as our parent's announced they were divorcing. It's always good to have someone to talk to who understands when the family is going through tough times. We got through it and when I was 19 and Mark was 14, I will always remember taking him on his first night out on Veronica's in Tenerife. Classy! 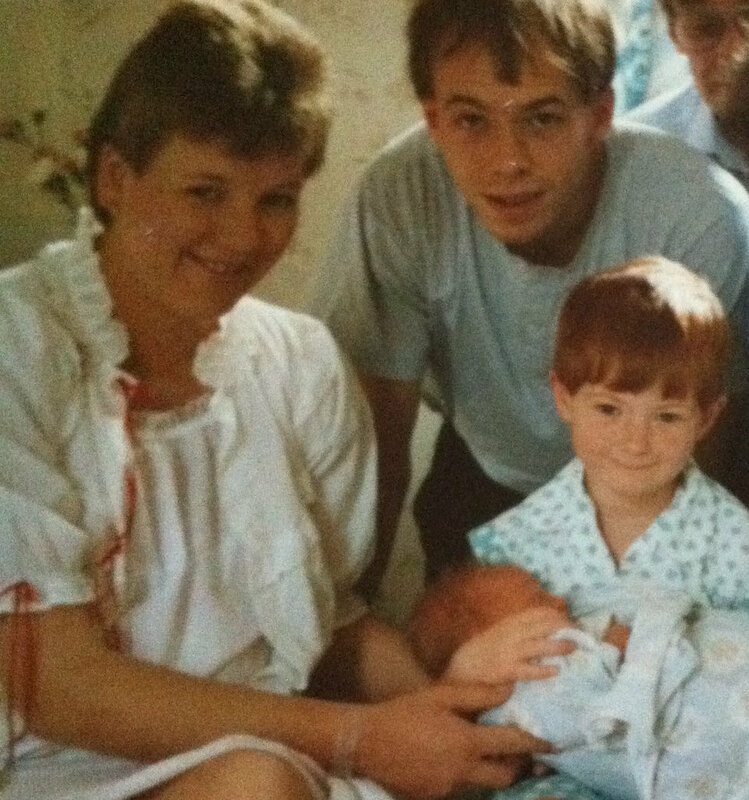 Then as we ventured into early adulthood, I got married and started my own family and Mark moved to Sheffield for University which was probably the period of time that we were the least close to each other. 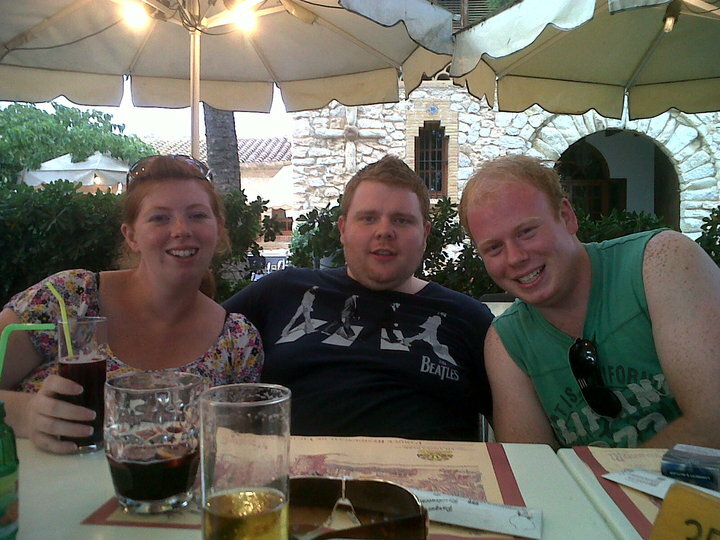 When Mark returned home from Sheffield it was time to start up those family holidays again and we enjoyed lots of trips to Spain together along with Steve, the kids and our parents. It's weird to think how much things have changed in the last 10 years! These days (and in the year Mark turns 30) we are definitely the closest we have ever been and I honestly don't feel the age gap at all. It must be down to my youthful outlook on life! haha! Seriously though, we have a lot more in common now than ever before. We both have children of our own now and it's lovely to watch our offspring growing up together - they say that your first friends are your cousins and this is definitely the case with our kids. 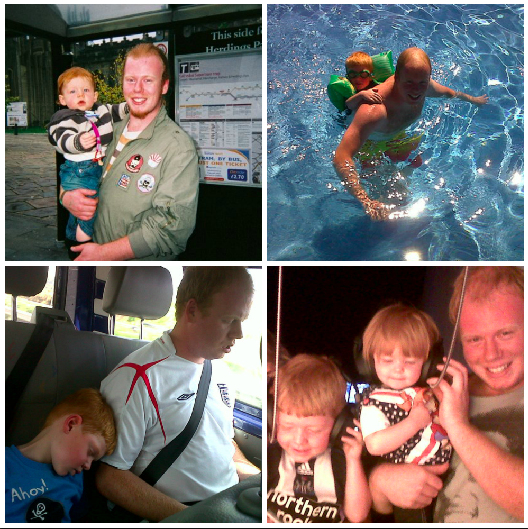 Mark is a fantastic Uncle and definitely the type that the kids love having fun with. Mark and I both now run our own businesses which is something that was never really an option as we were growing up so it's weird how things turn out! I am happy working at home with North East Family Fun and Mark is celebrating his first year in business with Evan's Bistro in Whitley Bay. But the one thing that brings us together above everything else has to be our love of good food. Again, I don't really know where this comes from as we didn't grow up in a foodie family but it's a passion that is definitely there for us both! Mark owns his own restaurant and I spend a good portion of my life writing about food these days and food is what we tend to spend most of our time talking about. Our love of food combined with the freedom of self-employment means that lunches out together are a regular thing for us now. 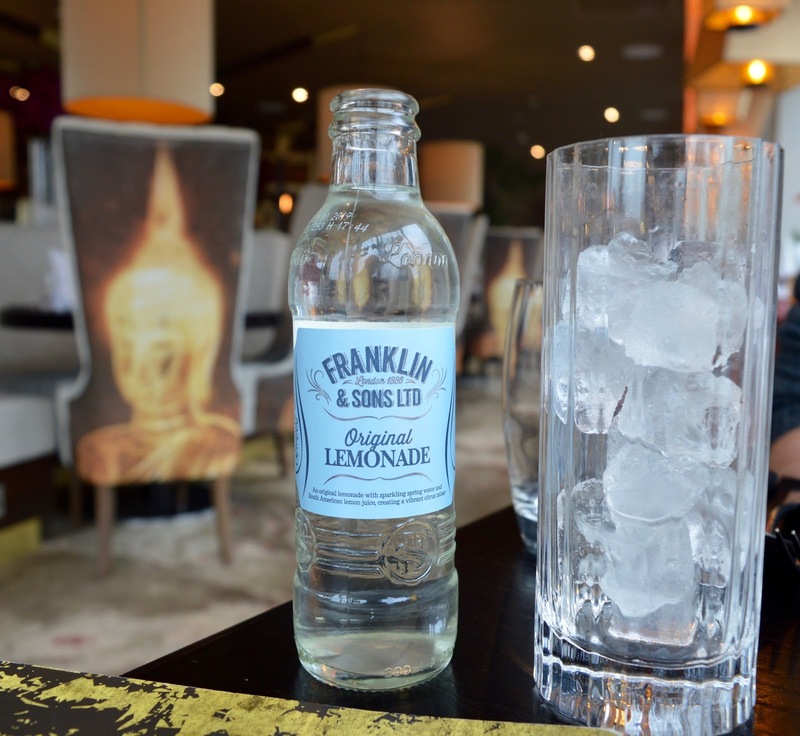 We've recently visited Riley's Fish Shack and OMNI in Monkseaton and loved them both. 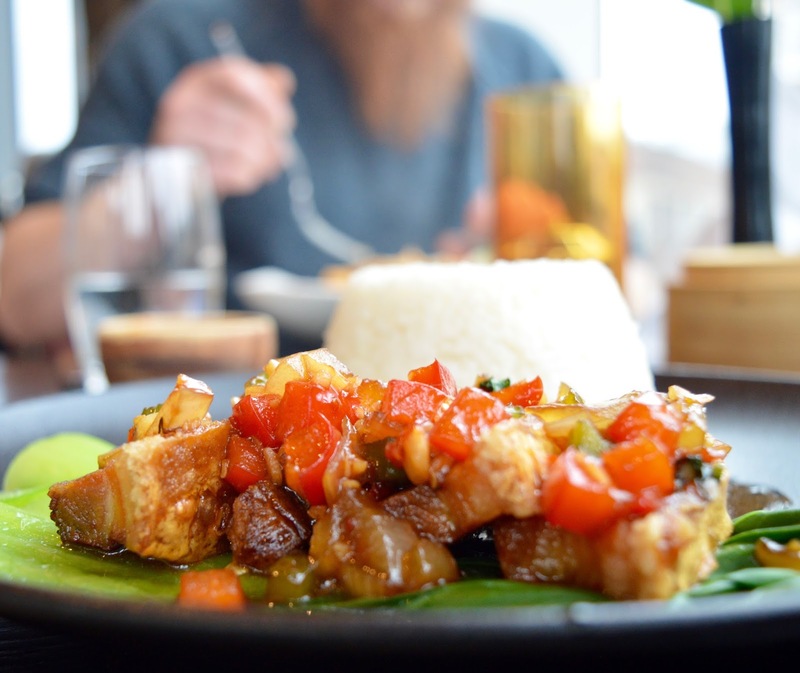 As our parents jetted off on holiday to Thailand this week and as we were both insanely jealous, we both decided to accept an invitation from Chaophraya in Newcastle to sample their lunch menu to try and ease the pain. 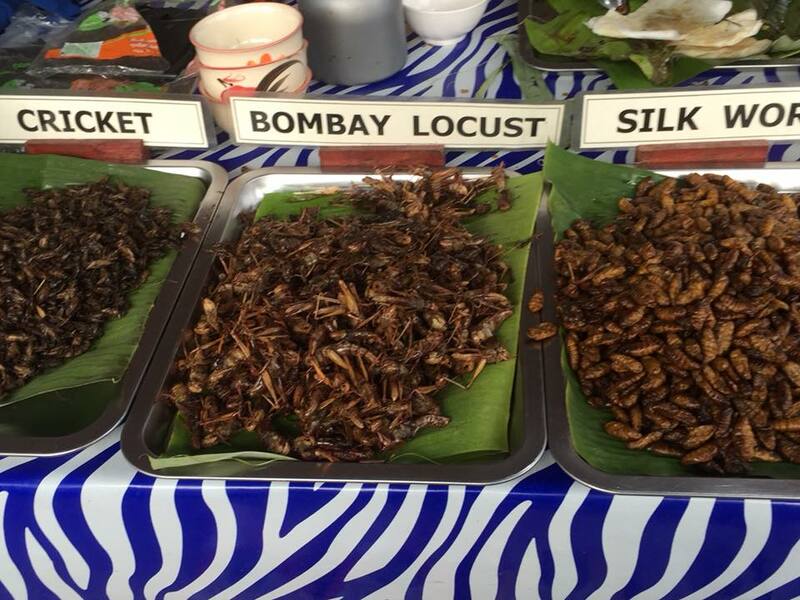 It just so happened that as we took our seats in Chaophraya, our mam tagged us in a photo on Facebook sharing what was available at the market for her lunch in Ban Bang Niang that day. I was hoping Chaophraya's options would be a little more palatable! 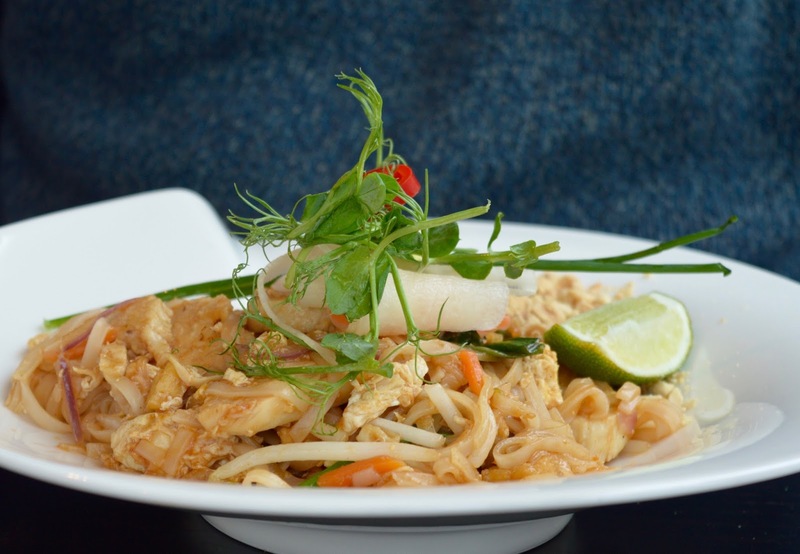 Chaophraya is a beautiful restaurant located on the top floor of intu Eldon Square in Newcastle. 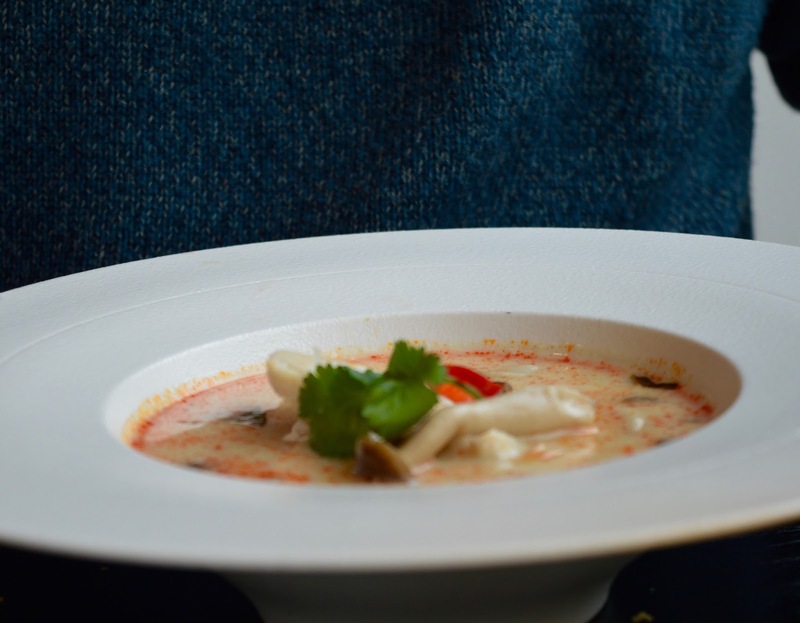 Offering an impressive mix of classic Thai and Signature dishes, it's a restaurant I've visited a few times with Steve in the past 18 months for both dinner and drinks and it's a place we both very much enjoy. My brother was a first timer though and didn't really know what to expect - it's fair to say he was impressed. 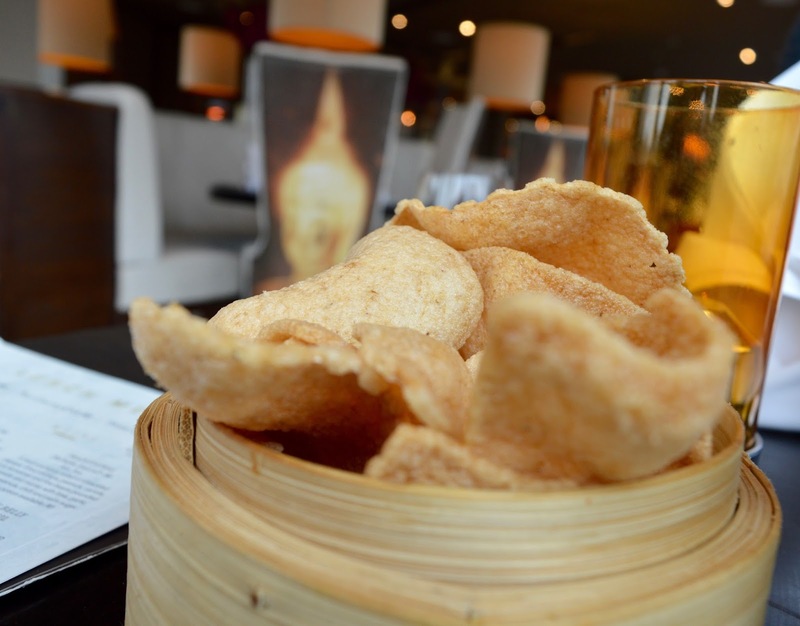 I'd describe Chaophraya as an elegant restaurant with fantastic views of Grey Street and it's definitely somewhere we only tend to visit as a treat. 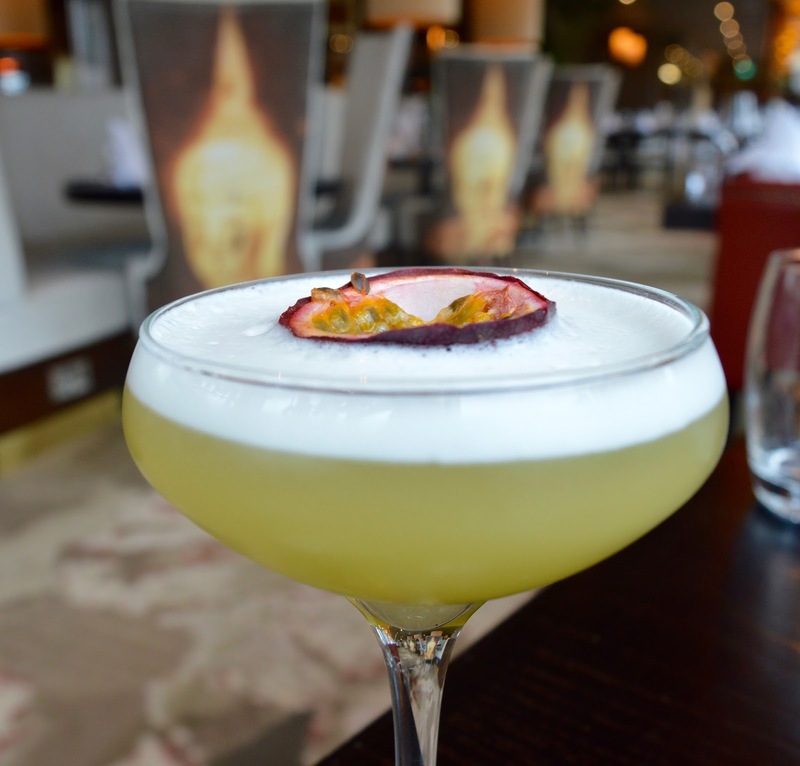 It's not somewhere I would normally think to pick for a mid-week lunch as it feels too special but I was very surprised at the value Chaophraya's lunch menu offers - 2 courses will set you back just £13.95 (£8.95 if you'd like to stick with one). We ordered our drinks and perused the lunch menu as the restaurant started to fill up. Mark was driving so ordered a soft drink from the extensive range available, he'd not heard of this particular brand of lemonade but enjoyed it very much. One of the things I love about dining out with Mark is that he's always the designated driver so I treated myself to a Siam Smile cocktail. 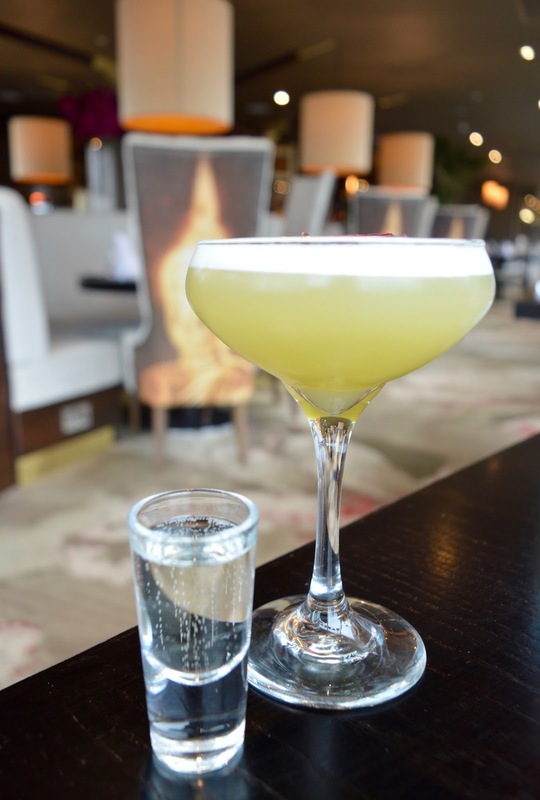 I loved it - made with passionfruit, pineapple and vanilla vodka, it reminded me of sitting in sunshine on holiday. 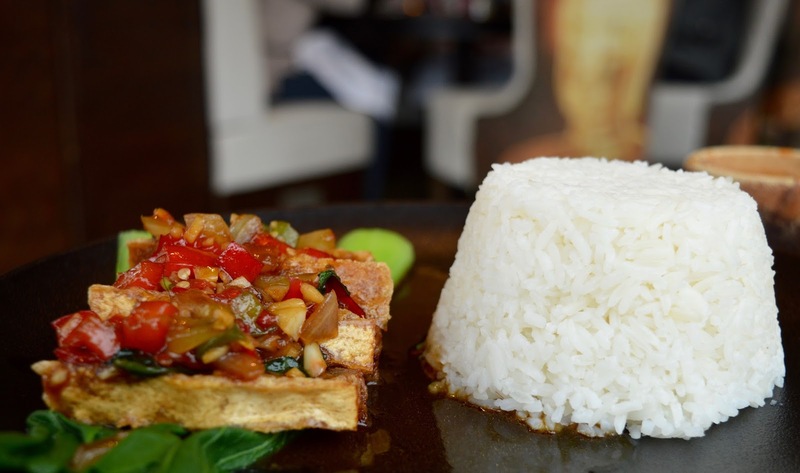 The lunch menu at Choaphraya is served from 12noon-5pm Sunday - Friday. We made our choices before the conversation turned back to our own parent's holiday back in Thailand. It's a running joke that our mam has never tried a Thai Curry before as she claims she won't like them and we joked that we were probably going to eat more Thai food this week than she was. During our next visit to Chaophraya, I'm definitely going to bring my mam along too and show her what she's missing out on. 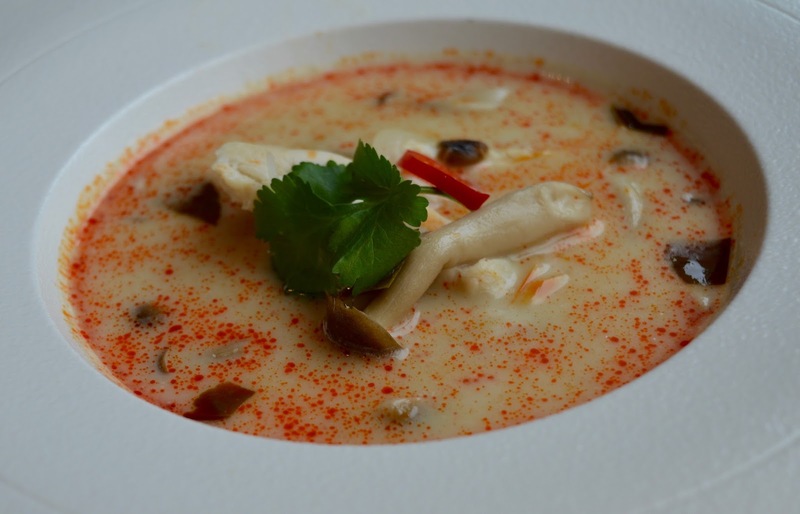 Mark ordered the Chicken Tom-Kha to begin which is a rich and fragrant coconut soup with chicken. It was beautifully presented and well balanced with lots of warmth to the dish without it being overly spicy. I think our mam would like this dish and it's a good introduction to Thai flavours. I'm going to recommend she tries it when we visit. I ordered the Pork Steamed Dumplings and have been craving them ever since! They are delicately flavoured with soy and garlic and incredibly moreish. My portion was decent but I was left wanting more. I seriously think I could eat around 20 of these no problem! 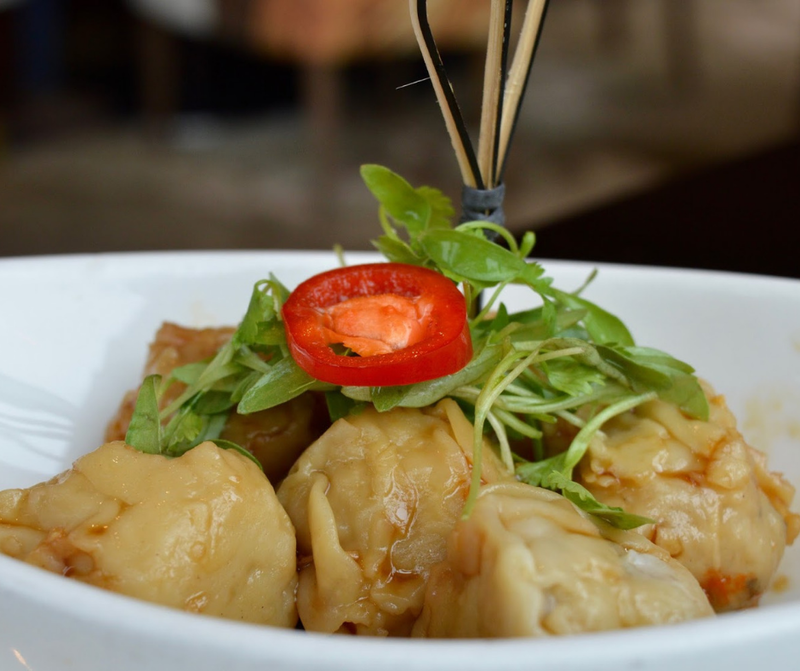 These steamed dumplings are something I order time and time again and I'd recommend you do the same - you won't regret it! With a nice pause between courses, our mains arrived just as our mam tagged us in *another* photo from Thailand - this time it was mentioning that I would be proud of her as she was in a proper Thai restaurant. It felt a bit weird that mam was enjoying dinner in Thailand as we were dining in a Thai restaurant at lunch. I wonder if she did eventually try a Thai Curry??? Mark stuck with the Thai staple of Pad Thai - his portion was huge and again, I honestly can't believe the value offered on the lunch menu. Although I didn't have a taste myself, the dish received a huge thumbs up from Mark and he could have done with a big lie down afterwards rather than being forced to go shopping with me. 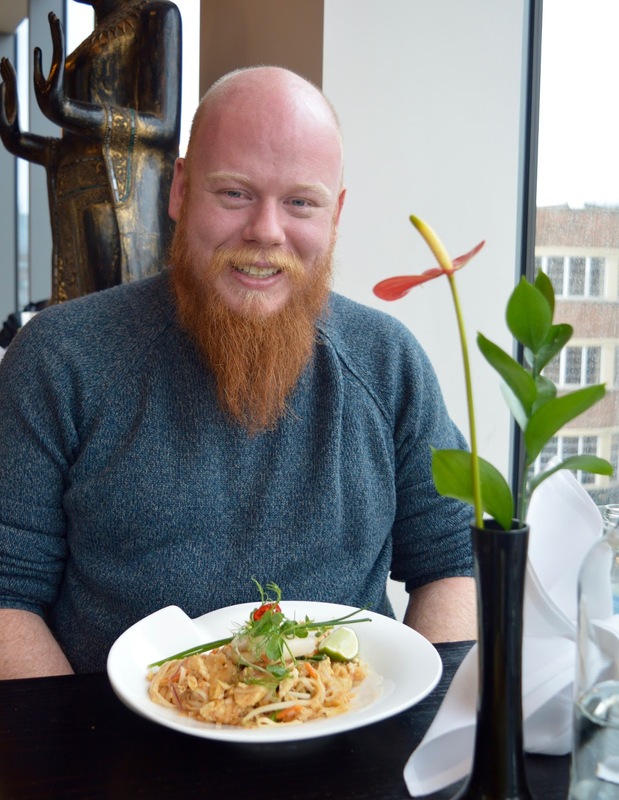 At 2 courses for £13.95, I honestly cannot recommend the lunch menu at Chaophraya enough. The dishes are well executed and flavoured, the surroundings are beautiful and the service is always fantastic too. Nothing is ever too much trouble. I expected it to be quiet on a Monday lunchtime but it seems like we're not the only ones in the know about this fantastic deal as it was nice and busy with couples, groups of friends and colleagues too. Definitely a welcome break from the crowds of Eldon Square. Both Mark and I were super impressed and would recommend to other siblings if you're looking for somewhere lovely to catch up over good food, especially during those times when your parents abandon you both to go on holiday! 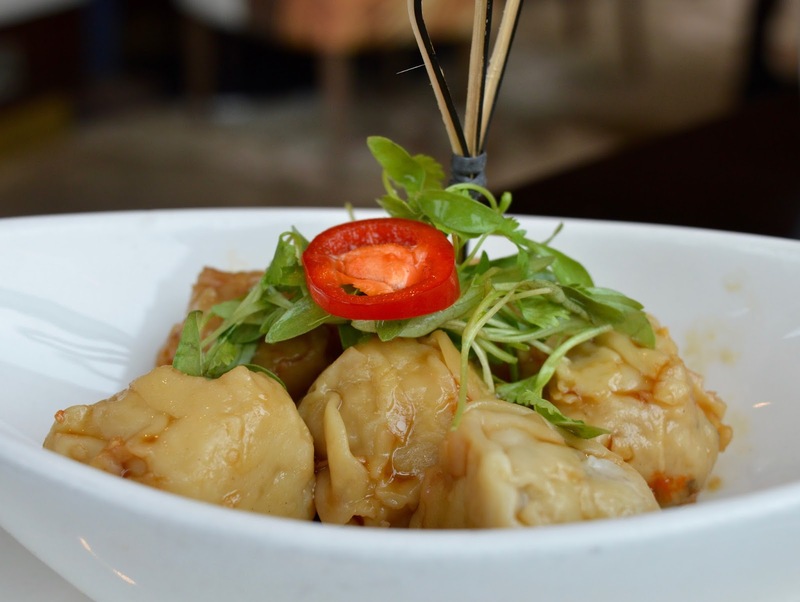 Let me know the last time you went out for lunch or dinner with your siblings and if I've inspired you to give Chaophraya a try. That really is excellent value. So sweet reading about your brother too. You really look like jack when you met him the first time! I’m pretty sure I read about you trying that pork before too, or maybe you just told me? I knew I wasn't imagining it! Chloe and KJO said the same about me and Jack too - I didn't even realise! Love the retro 80s photos and how mean were you to him! I was never like that with my younger sisters ... honest ;) Loved hearing the stories of you growing up and it's made me very excited about my little sisters visiting in the Summer, we don't often get all together anymore! Your food photos are lovely, it's reminded me I haven't been to Chaophraya for AGES, I must go back and take Simon because he's only been for cocktails!